The first seminar I went to was actually 3 classes in 1! 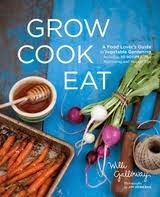 Part One: Fabulous Veggie Varieties was by Willi Galloway, author of Grow, Cook, Eat, and blogger at digginfood.com. Here are some tips that I learned from her. 1.) 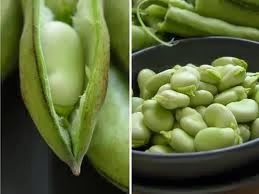 Fava beans: These are supposedly easy to grow, but kind of a pain to cook. You have to shell the beans, and then boil the beans to remove a second casing. :( I haven't had much luck with them, but I might try again in the front yard. She said that you can actually grill them in the pod, and they will self-steam- and then you can eat the beans just like edamame! Seems worth a try to me! 2. ) Zucchini Romanesco: She recommended this variety, as it produces a large amount of squash blossoms. She and her family eat them stuffed with hatch chiles and cheese, or in quesedillas. 3.) Baby Greens: Willi was saying that everyone should grow baby greens- you can sow a variety of greens and lettuces really heavily, tap them into the soil, and sprinkle a bit more soil on top of them. They come up really quickly, and you can cut them when they are small and they will grow back! 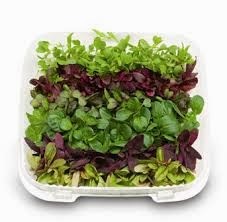 You can also transplant a section of them (if you're growing them indoors under lights) and let some get to full grown size over the season. 4.) 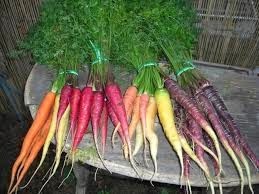 Carrots: Did you know that all carrots aren't necessarily meant to be eaten raw? How weird is that? She suggested that if you had grown carrots that didn't taste that good to you, you should cook them and see if that improves the flavor. A few varieties that she recommended were: Yellowstone, Cosmic Purple, and Nelson. Willi also had a few tips for companion planting, or space sharing. When you plant peas, put in your A-frame, and then underplant it with greens or radishes; by the time those are ready to eat, your peas will need the whole space. You can also do this with squash- plant greens in the area, and by the time the plant needs the whole space, you will have harvested the greens. Lastly, she mentioned cover crops-specifically clover and buckwheat. If you're going to be growing things consistently in the same space, you want to be able to add some nutrients back into the soil. So, in the fall, throw out some clover or field peas, let them grow over the winter. In the spring, chop them up, and till them into the soil. Plant your spring crops, then replace them with your tomatoes/peppers/squash. Add some buckwheat around them, so when those plants are spent, you can till it under in the fall.